Kitchen floor plans are always unique, no one uses your kitchen the way you do. 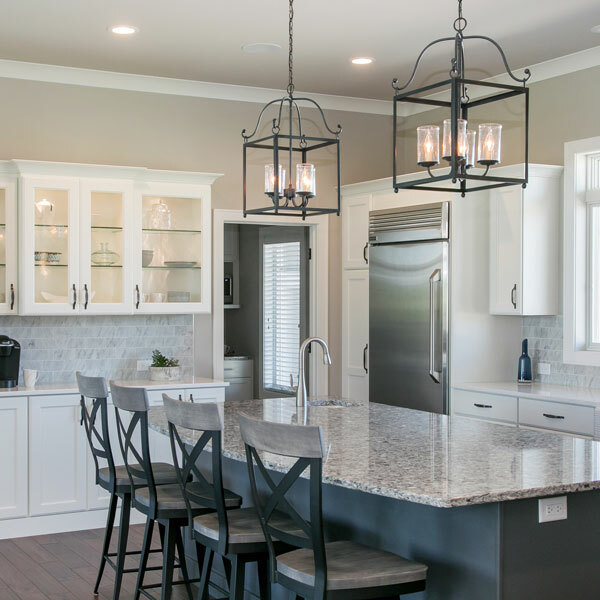 The technique of layering light applies: overhead fixtures combine with recessed lighting, under-cabinet lighting and natural lighting to give you the level of light that works in your kitchen. Here’s a look at kitchen lighting basics. 1. Every kitchen needs recessed lighting placed over the front edge of kitchen counters so your lighting doesn’t throw your own shadow into your tasks. Recessed lighting is a priority! 2. You’ll need under-cabinet lighting, too, because it scatters light forward toward your hands. We like the slim fixtures that tuck up under the cabinets and cast light evenly across the counter. 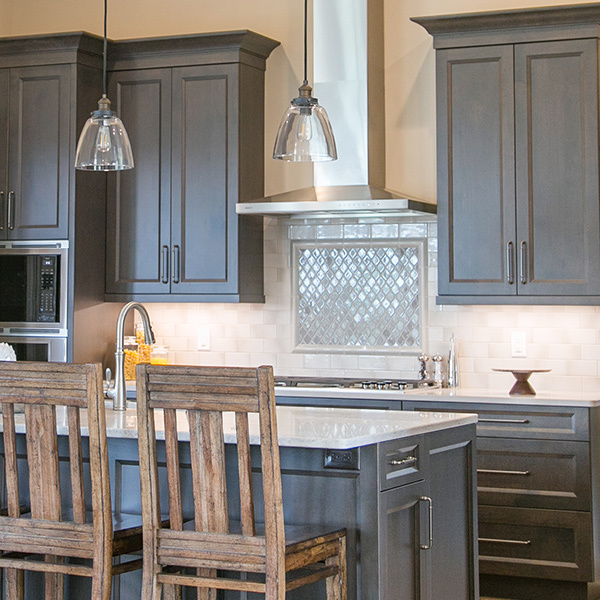 Choose fixtures with a built in dimmer switch. Change the light level for a house party or for a night-light on long winter evenings. 3. Have an island or table in your kitchen? Consider pendants, and more than one. 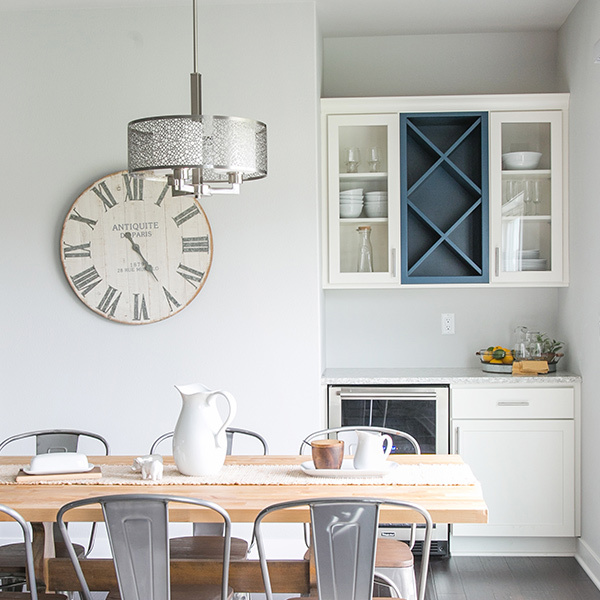 Multiple pendants add light and style elements. 4. 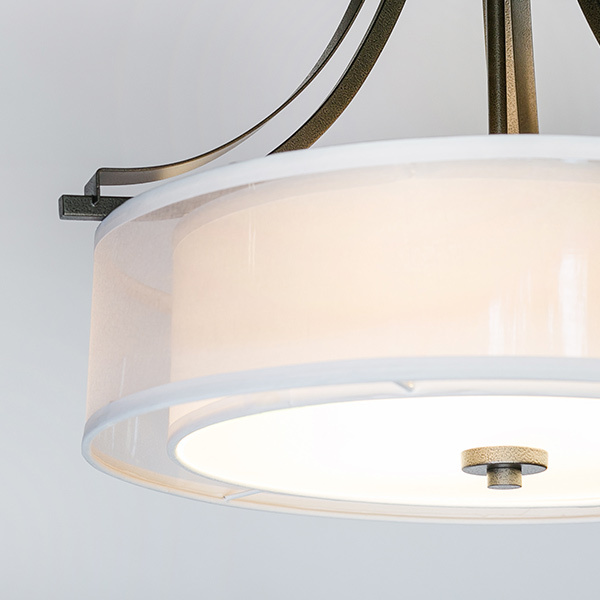 Small recessed can lights show off your pendants or chandelier while showering light directly down onto your tabletop or island. 5. Not everyone has the luxury of a kitchen table. Got one? 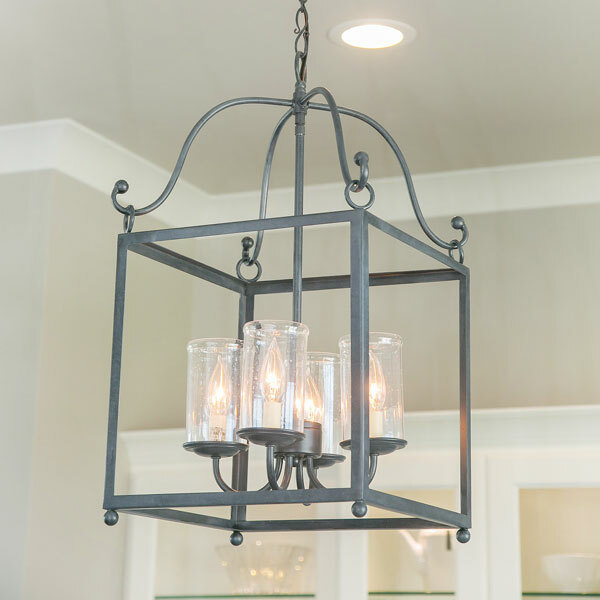 Make it a place you want to spend time with a beautiful chandelier or pendant. 6. Diffusing the light beneath the fixture is soothing to the eyes when the surface below is used for tasks as well as dining. Now that you know the “rules” remember the pirate’s code. They’re not actually rules, more like guidelines, really. 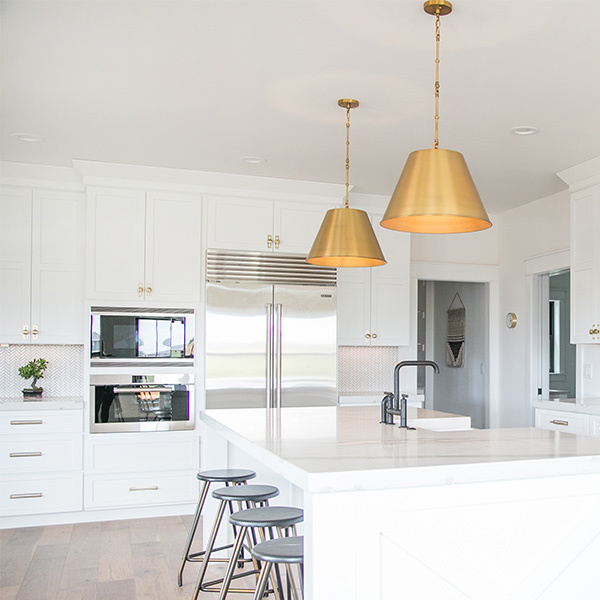 An example of “the code?” If you’re lucky enough to have a big farm kitchen with a worktable in the center, consider using multiple chandeliers for lighting. Two chandeliers over a worktable or long, rectangular dining table has a “why not?” attitude that can be very appealing.